The Safest Way To Sell Your House! We understand that nowadays, you can never be too careful. We also know that in today's information age, people expect to be able to check out the feedback or reviews of the various services providers before using them for the first time. And when you sell something as important as your house, it shouldn't be any different. 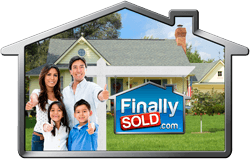 "I have closed hundreds of houses for the team at Finally Sold, and they are a real class act. 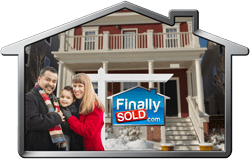 It is refreshing to work with such an efficient and professional home buying group. 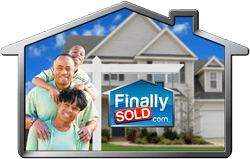 I highly recommend them when selling your house!" That's right; please check us out for yourself. Think about it, who else could there better be to consult than a Senior Escrow Officer from a large Title Company, who has literally seen us perform flawlessly in hundreds of real estate transactions. You can call her at (602) 375-2800 and make sure you specifically ask the receptionist to speak directly to Christie Turley herself. We imagine that you would agree that when selecting a title company to close and insure your real estate transaction, you should demand to get one with extreme financial stability. That is why whenever possible; we only use North American Title, First American Title, or Fidelity Title as our premier title insurance providers. Each year, these 3 large Fortune 500 companies and their subsidiaries collectively issue more than two thirds of all the title insurance issued nationwide. How is that for superior financial strength? 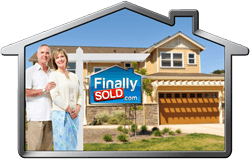 In all instances, you will be very pleased with the speed, accuracy, and professionalism that you will receive from all of our closing agents. And since we bring them so much business, they are always willing to go the extra mile for us and all of our customers too. Finally Sold (a division of Right Now Capital LLC) is proudly an accredited business with the esteemed Better Business Bureau. Not only does the BBB vet out and screen businesses, but they are a 100+ year old nonprofit organization that is focused on advancing marketplace trust and ensuring that all of its accredited business strictly adhere to the rigid BBB Code of Business Practices and explicitly comply with the bureau's uncompromising ethics standards for advertising, consumer privacy protection, and overall honesty and integrity. "Best of the Web" has been recommending the BEST Sites of the Web for over 20 years now. 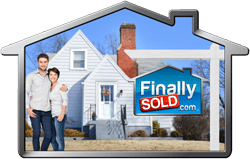 Not only is Finally Sold officially registered in their exclusive directory of the Web's Best Sites, but Best of the Web proudly declares that FinallySold.com is an elite Best of the Web TRUSTED Site too.